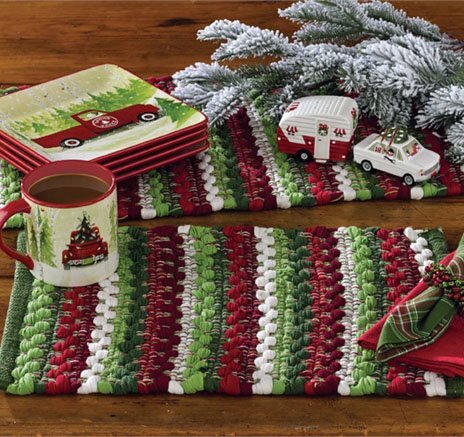 The bright and festive hues of the Wintergreen Chindi placemat bring the holidays to the table. Cotton strips are woven together to create a textured, striped pattern in Christmas colors: shades of red and green and white. Dimensions: 19" x 13". 100% cotton. Spot clean only.